Where will the 2018 Annual meeting be held? Where will the next National GS Convention be held? What is the name of our PLC? How many Service Units are in Area 17? Who is the Area 17 Chair? Who is the Area 17 Vice Chair? Who is the Area 17 Secretary? Who is the Area 17 CMC? Where was Juliette Low born? What was Juliette Lows Nickname? The newest County to Area 17? 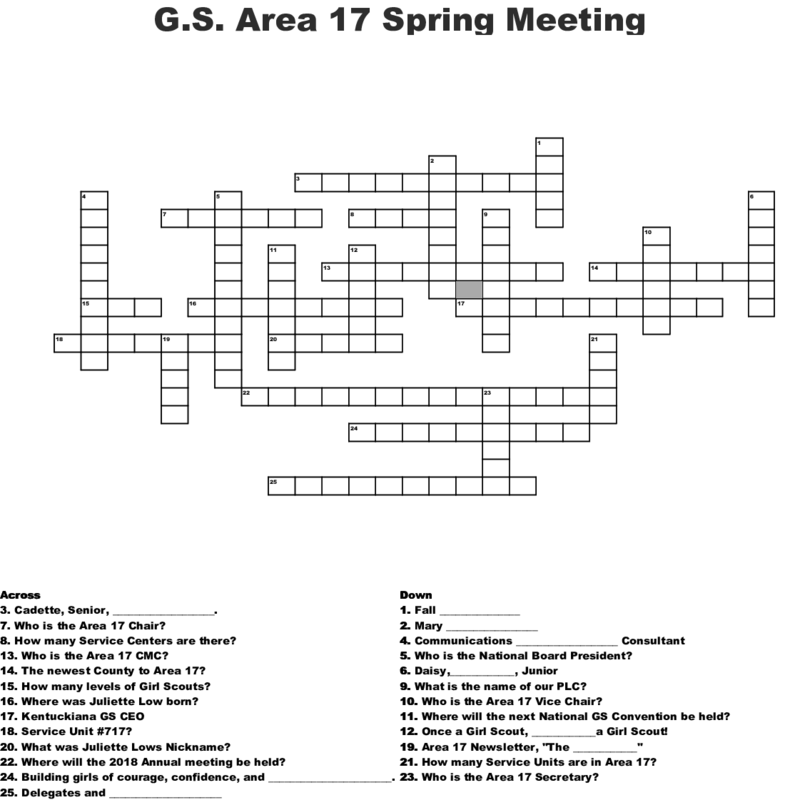 Area 17 Newsletter, "The ____________"
Once a Girl Scout, ____________a Girl Scout! How many Service Centers are there? How many levels of Girl Scouts? Who is the National Board President? Building girls of courage, confidence, and _______________________.